Is what you're experiencing a course correction? Making mistakes, experiencing challenges, and facing obstacles in life is completely normal, in fact, it's expected! Obstacles, mistakes, and challenges all play a key role in life, because they help us to learn and they prompt us to make valuable changes. If you realize you've made a mistake in life, all is not lost. Rather, it's simply time to learn from your experience, make a course correction, and move forward. When you feel bad about your current circumstances, or you realize that yes, you did made a mistake in your life… You can dwell on it, fret and worry about it, repeat the process, or you can use the uncomfortable energy to motivate yourself to make a positive change. We're all spiritual beings in physical form, here on Earth to live, learn, make a difference. And yes, there will be tests! As is the case with all tests (especially if you're like me), you sometimes choose the wrong answer. The good thing is, in life, mistakes are expected, and wrong answers are inevitable. So instead of worrying about going in the wrong direction, making a mistake, or getting off course, strive to learn from the mistakes you do make, and then adjust your course as you go along. By being present and aware, you will be able to see what's working for you, and when you do make a mistake, you can see where you need to shift and then change what you're doing. Correcting your course as you move through life is powerful, useful, and will keep you growing. When you realize something's not working for you, learn from it, be willing to change, adjust, and go with the flow of life to head in a new direction. Mistakes aren't bad… Unless you keep making the same mistakes over and over and over again. When you do this, or you get stuck on a certain life lesson, or perhaps you feel like you're making significant progress but not really headed in the direction of your highest and best purpose… Then the Universe tends to align a course correction on your path. From my experience, self imposed course corrections are much more fun than ones triggered externally. Have you ever felt that out of nowhere everything in your life came crashing down around you? Or maybe you've experienced like 12 things in your life falling apart and falling away all at once? If you have, you've likely experienced an externally triggered course correction. This type of course correction can be harsh, it may feel unjust, and may seem like a severe punishment. But if you can remember to step back, breathe, and go with the flow, you may be able to see that the Universe is actually conspiring with you to create positive change. Be willing to change, and your course correction will be much less painful. 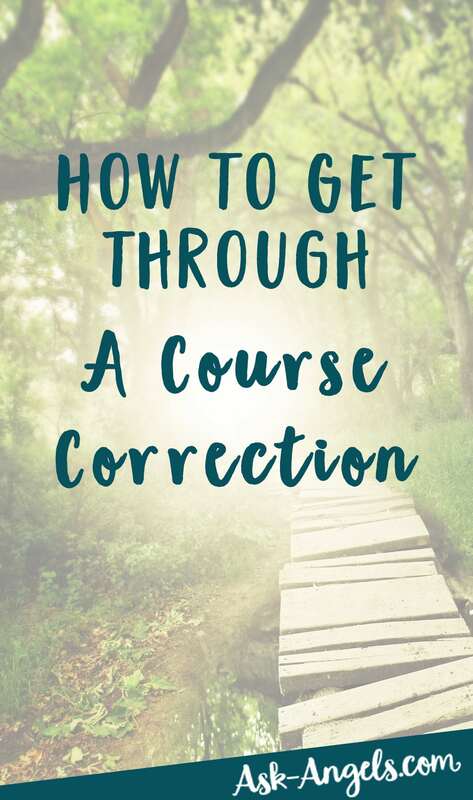 Course corrections, as much as they may feel like it, aren't meant to be punishment for mistakes. Rather, they serve to eliminate negative influences and stuck energy from your life. The lesson here is to pay attention, listen to your heart and to your intuition, and be willing to change. Correct your course as you learn and grow, and take the time to get out of the chaos of the mind, and into your heart to figure out what is really important for you to experience. 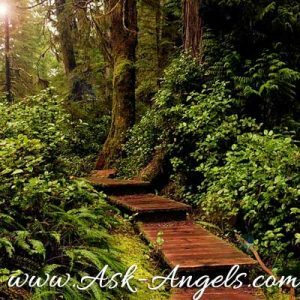 If you do find your life seems to be falling apart, ask your guides and angels for help aligning with what will most serve you. Then stay open, observant and aware, and be willing to go with the flow. Learn, grow, correct your course, and keep adjusting as you move forward. This is the path of personal growth, and it's how you improve your life, one step at a time. What Is A Super Moon? And What Is Its Spiritual Meaning? If you don’t mind me saying I don’t know if I am in the middle or have gone through a course correction. Thank you. 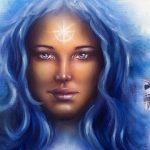 I have just experienced an external change Thanks to all your wonderful guidance I actually understood why and knew that even though it was scary it was for my good. So glad to hear this Mae! I’m 65 years old and just discovering this part of my spiritual life, thanks to you Melanie! You are so young to be so wise! Im on day 25 of an intense prescription drug Detox,at thebsamebtime myb1.5yr relationship ended and my job! Is this the external change you speak about?